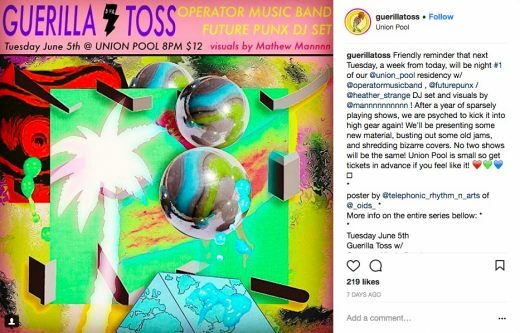 This weekly throwdown in Union Pool’s back patio brings bands and DJs that are way better than they need to be for the gratis admission price. Get there early. Bushwick band Best Behavior is already catching attention and touring nationally — even though it only formed in January. A self-described “60s garage rock, surf punk” band, the four guys are preparing for the release of their debut LP, Good Luck Bad Karma, which drops today via Money Fire Records. As is required of any self-respecting garage-rock band, a celebration of the release will ensue at Union Pool on Saturday night. They’ll perform with Haybaby, The Rizzos, and Surf Rock Is Dead, which released a new single today. By some estimations, Kid Congo’s been a part of at least 420 bands over his three decades-long career, including legendary acts like The Cramps, Nick Cave and the Bad Seeds, and this writer’s personal favorite, The Gun Club, of which Powers was a founding member. He’s maintained the same trademark style throughout, but what’s truly impressive is his ability to consistently churn out a fresh take on what’s become a recognizable sound: garage rock that has kidnapped classic rock n’ roll and splattered a spooky, punk attitude all over its high drama, all while injecting a heady dose of grit into the glamorous excess. The last time we saw Wolf Eyes it was in the cavernous depths of 285 Kent when the place was in the midst of its death rattles. It was the perfect environs for the Michigan-born death noise band, as cold, dark, and dank as a Detroit warehouse party, the natural habitat for this particular brand of Trip Metal (TM). It’s hard to picture how we’re going to grapple with the heaping portion of sensory dissonance that is a Wolf Eyes show happening at North Brooklyn’s most notorious meat market. As part of its backyard Summer Thunder series, Union Pool will provide the backdrop for a sunny afternoon replete with punishing noise. 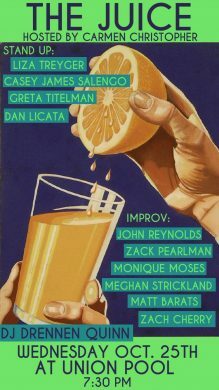 But wait, perhaps we’ve mentioned this before, but we’ll say it again — nay, we’ll sing it to the heavens: this show is free as hell. Meaning you’d be a dummy to spend your Saturday sleeping in and risk getting trapped in the refrigerator section of the meat market, if you catch our drift.